Adiciona um QR Code com um link para a Morada de Entrega no Google Maps nos plugins “Print Invoices & Packing lists” (woocommerce.com) e “WooCommerce Print Invoice & Delivery Note” (wordpress.org). Útil para definir a morada de destino directamente na app Google Maps no seu smartphone quando vai fazer entregas. 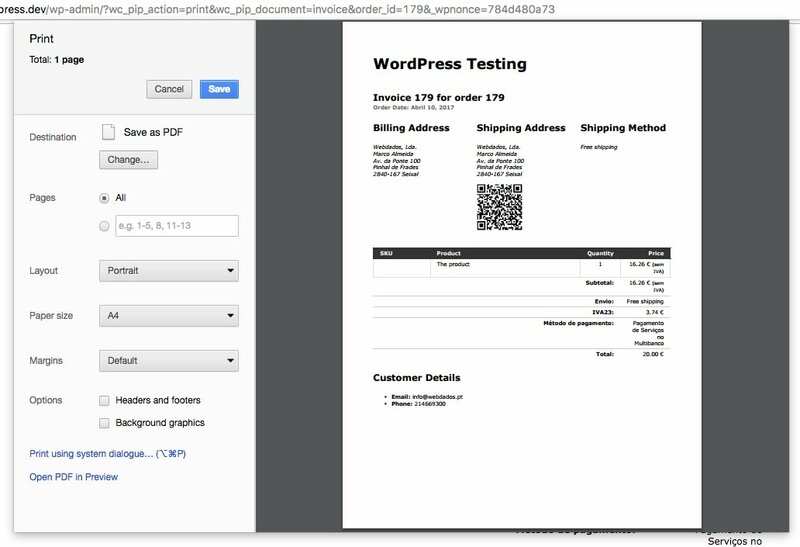 Adds a QR Code with the Shipping Address link on Google Maps into “Print Invoices & Packing lists” (woocommerce.com) and “WooCommerce Print Invoice & Delivery Note” (wordpress.org) plugins. Useful for setting the navigation destination address directly in the Google Maps app on your smartphone when you’re delivering your orders.